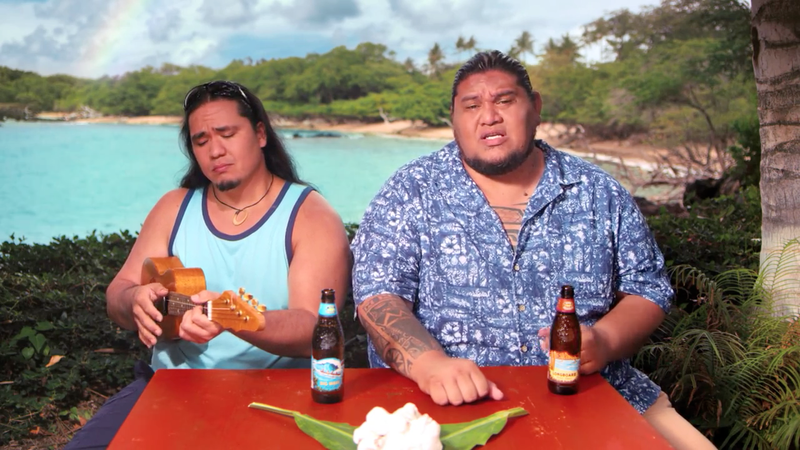 Hawaii-based Kona Brewing Co. has released a new ad campaign from Duncan/Channon reminding stressed-out mainlanders to enjoy life. One of two new spots, "Sad Hour," suggests that we set aside one hour a day for all the tedious crap we hate doing so the other 23 hours of the day can be happy. A second spot, "Single-Tasking," introduces the concept of only doing one thing at a time (drinking beer, for example). Kona is borrowing heavily from old Bartles & Jaymes ads here, and adding a healthy dose of island life stereotyping, but the big guy's delivery is good enough to make it all work. The ads will air in Orlando, Fla., San Diego and Los Angeles markets throughout the summer. "The 'Dear Mainland' campaign truly captures the unique Hawaiian spirit of Kona Brewing and, in a fun way, delivers our message that reconnecting with family, friends and community is what truly matters," says Aaron Marion, brand manager at Kona Brewing.